Volunteers Inge P, Inge J and Sarah visited Cipto yesterday to find very busy wards once again. On the Infectious ward we met Halimah, a 4 month old baby weighing only 3kg. Halimah, a Down Syndrome baby, is fighting a number of conditions including malnutrition. We also saw Bilbina again who, we are delighted to report, will be going home tomorrow. She is still a little poorly and will need oxygen to help her recovery. Wahyudin is eight years old. 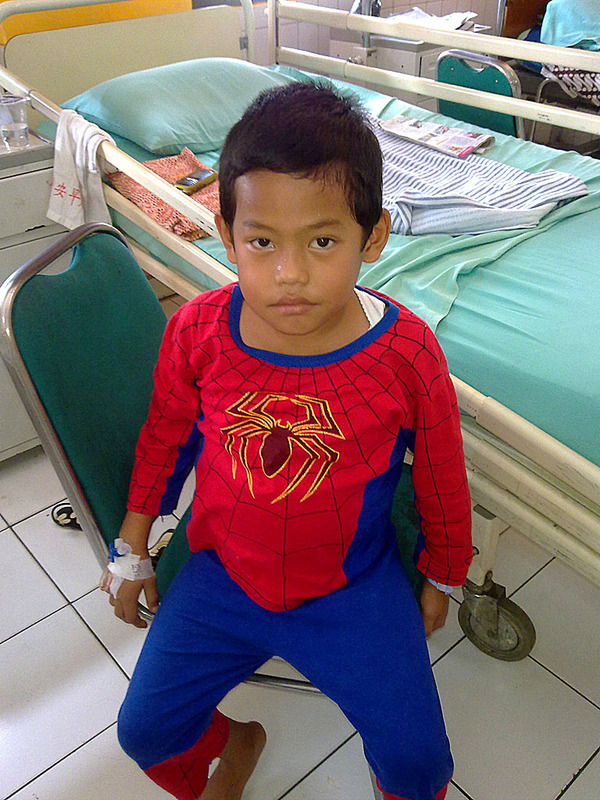 Wahyudin has suffered from kidney disease since he was three years old and has developed peritonitis as a result. He is bearing his condition well and happy to be photographed by MCK. We are also pleased to say that Rizky and Alexander, who we met on our last visit, have both been discharged and are at home with their families. On the Cancer ward we were able to spend a little more time with Nur Oktavia (sixteen years old) and Fauzi (fifteen years old), again two patients that we met with previously. Fauzi was sleeping well when we arrived so we talked with his grandfather. Fauzi has now received chemotherapy for his condition (mediastinal tumour) and is being monitored by the doctors. Nur Oktavia has also received her chemotherapy treatment now for a soft tissue cancer, and today will have her tracheotomy repaired. Good luck for today, Nur Oktavia. 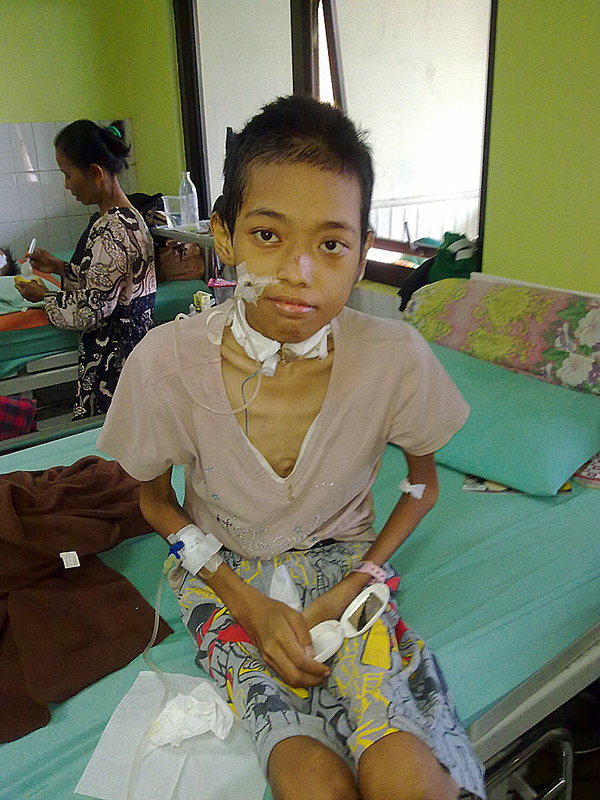 We met with Dini, a female and also fifteen years old with a tumour in the central nervous system. Because of its location she is paralysed as a result, however her prognosis is good once the tumour is removed. The hospital will plan her operation using money raised by MCK. And lastly we were able to spend some time with Dr Endang (Cancer Ward) and Dr Rina (Neo-natal Ward). Like Dr Yoga (Infectious Ward), they all work so amazingly hard to ensure that the patients in their care get the best possible treatment that they can at the hospital. Without the doctors, MCK could not play a role in helping the children with their treatment costs.